Today's price gains are largely driven by Asian crypto gamblers. Ripple has seen trading volumes increase over the last 24 hours by nearly 25% at South Korean exchange Bithumb and 10% on Bitfinex in Hong Kong. Ripple is like a Western Union using blockchain technology. It is a digital payment system that allows for discounts for its service for those who pay to use it in the Ripple coin. The company is run by CEO Brad Garlinghouse, who has held midlevel executive positions at AOL and Yahoo! between 2003 and 2012. 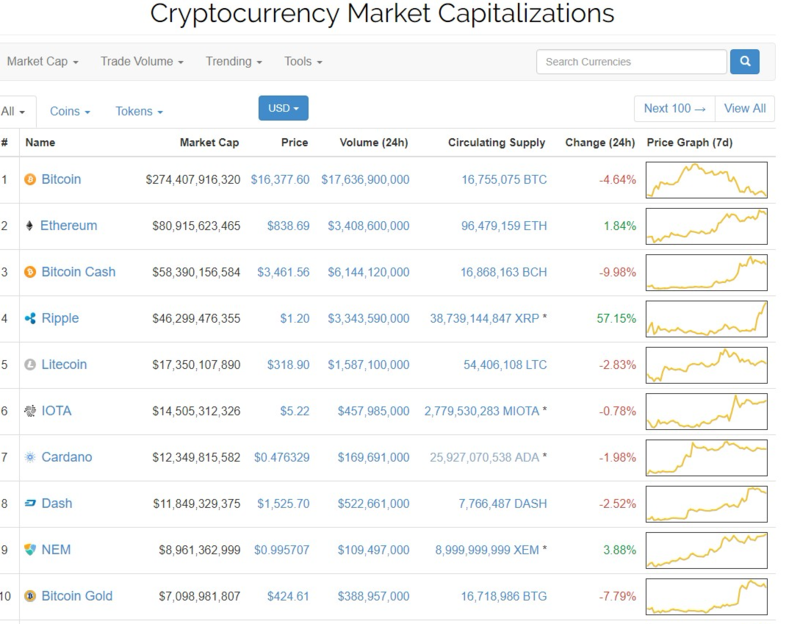 Previous PostCrypto Watch: Reddcoin (RDD) Price Explodes By 500% In A Week. What Is RDD And Why Is It Surging?